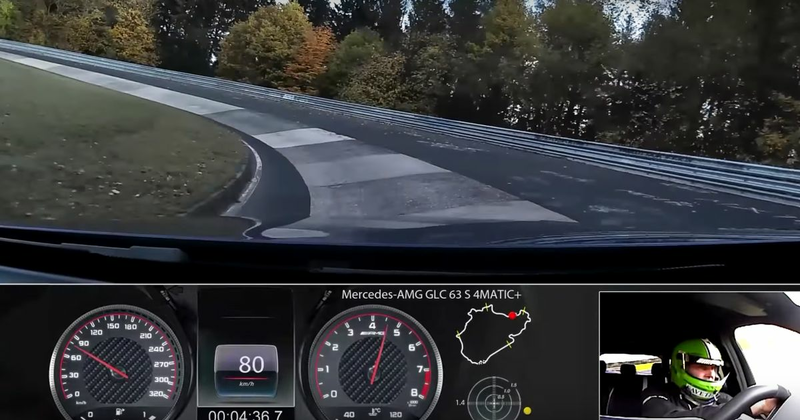 It seems Mercedes has been keeping itself rather busy at the Nurburgring. 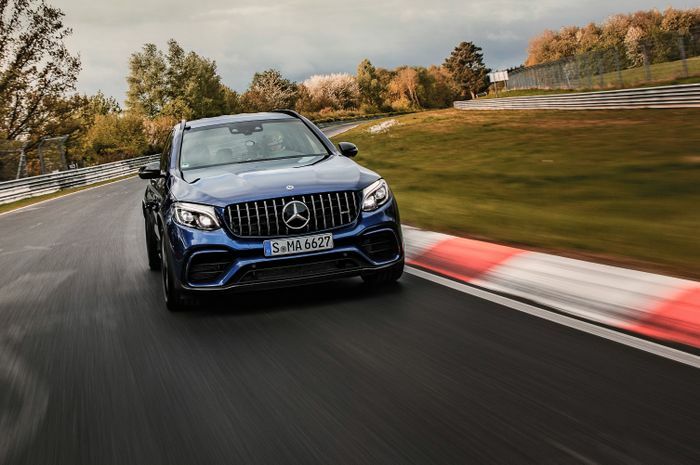 On top of its usual industry pool testing for cars like the new AMG A45, Stuttgart has also found time to set a couple of records: a rather niche one with the AMG GT 4-Door, and now a more straightforward feat from the GLC 63 S.
The latter 4.0-litre V8-powered hulk was hustled around the Nordschleife by AMG development engineer Markus Hofbauer in 7min 49.369sec, making it the fastest SUV at the Green Hell. It comfortably beat the time laid down by the Alfa Romeo Stelvio Quadrifoglio by well over two seconds. Each develops 503bhp, albeit from different means. Both have a twin-turbo engine, but the GLC packs an extra couple of cylinders: it has a 4.0-litre V8, while the Alfa has a 2.9-litre V6. The GLC is torquier, but it also has another 150kg or so to cart around, making the lap time all the more impressive. Be sure to watch the lap to the end: it’s a terrific display of commitment from Hofbauer. The only thing is, we’re now left wondering what sort of lap time the refreshed C63 could manage. Fancy it, Markus?